When my kids spun the globe to pick 10 countries for their 10 school lunches project, Morocco was one of the chosen ones. For this lunch, I thought a beef kebab and couscous salad might be just the thing. The mushrooms, coriander leaves, garam masala and chilli powder, gives this kebab a lovely taste. 2 tsp chilli powder if you like it spicy. 2. Shape the meat into a thick sausage. 3. Broil on high, either side for about 5 min. Using a meat thermometer make sure the meat is cooked. 4. 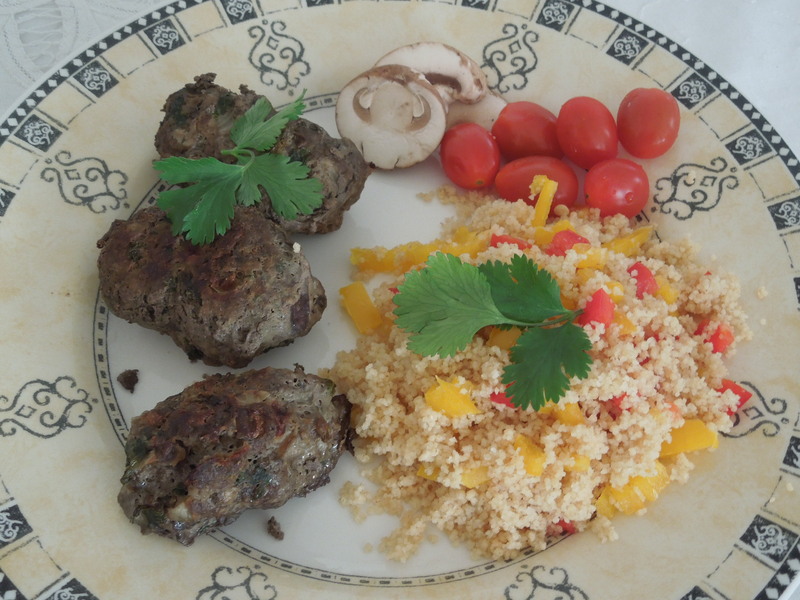 Serve with a couscous salad mixed with diced red and yellow peppers.